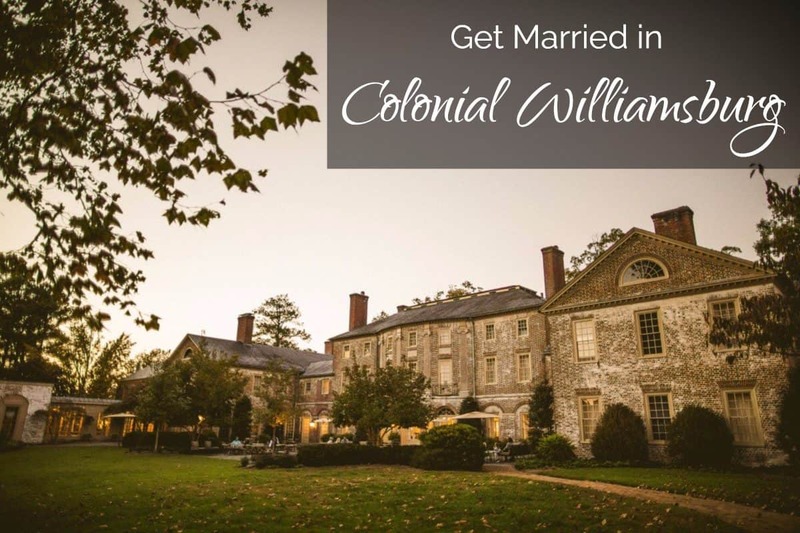 When I first thought about Colonial Williamsburg, a wedding destination was not top of my mind. The first things that came to mind were the historical sites and trade shops (blacksmith, fabric weaving, etc). However after making a visit to find out exactly what they had to offer I was very impressed. 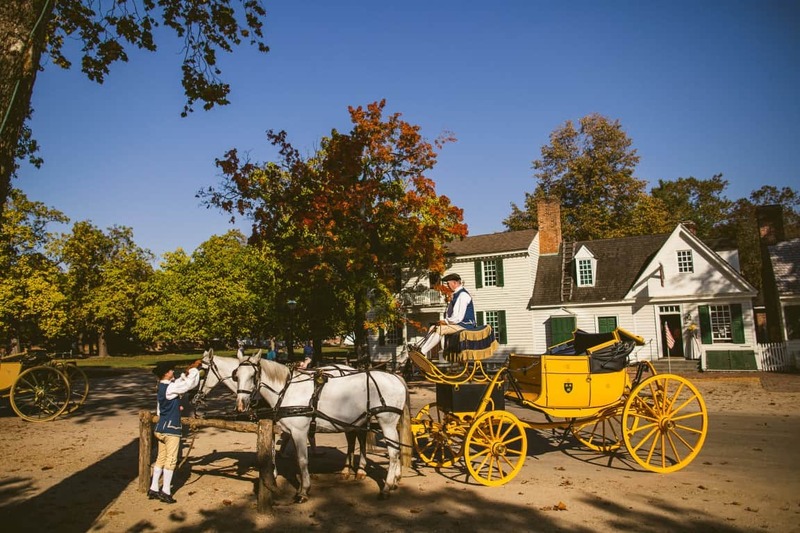 This is not just a place for people to visit and learn about our history, this is a full-on wedding destination with a multitude of offerings. 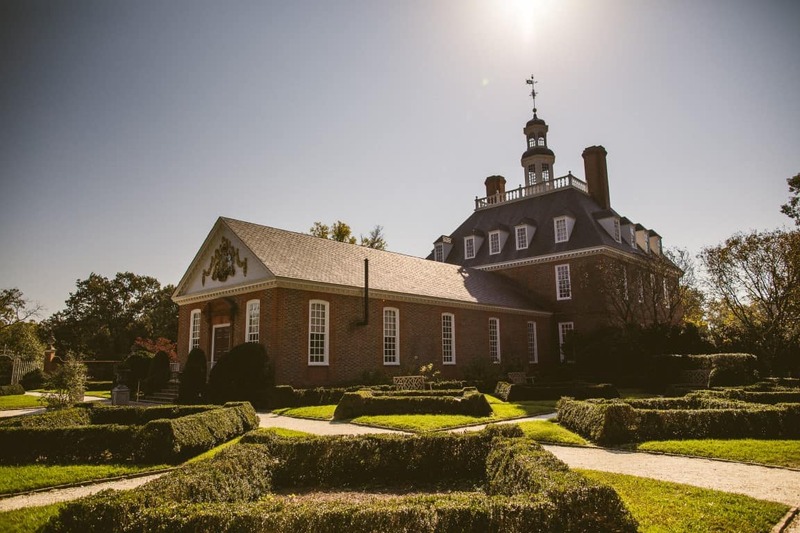 Colonial Williamsburg should be a serious consideration for brides planning their big day. 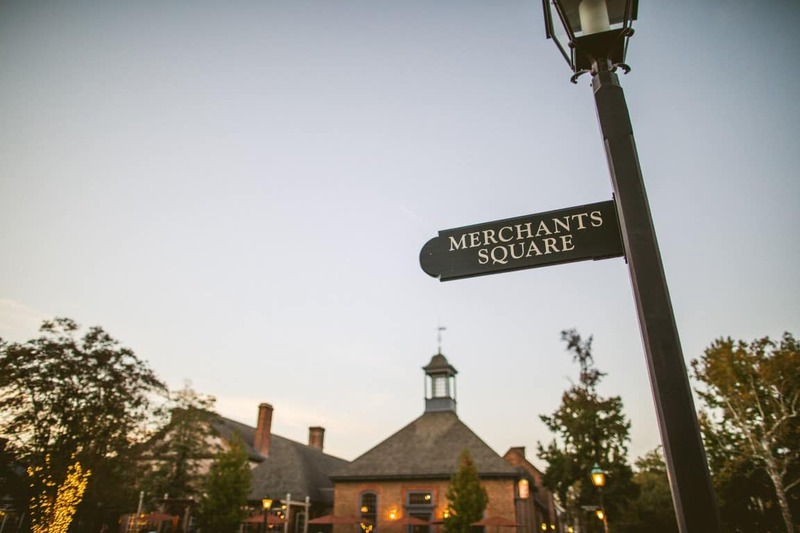 Driving in, one of the first things I noticed was Merchants Square. There are 40+ shops and restaurants here, all in an easily walkable area. For family members and friends who love to shop, this is a must-see. The historical areas are nearby as well. I was able to ride through the historical sites in a horse-drawn carriage. When riding up and down the streets, it’s easy to feel like you’ve gone back in time, especially with so many people dressed up and in character. Many of the people you will meet here are historical interpreters and have an incredible amount of knowledge. Couples can even hire an interpreter to be at their wedding. 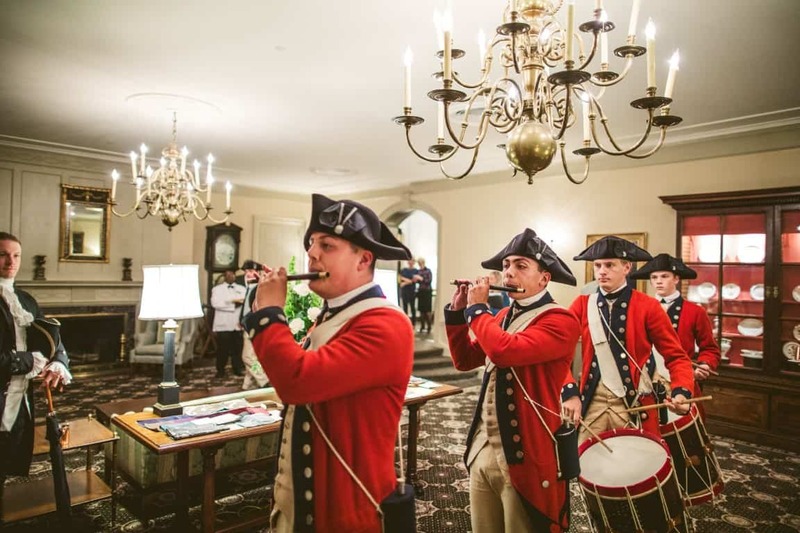 We were able to chat with Thomas Jefferson over cocktails before being led by the Fife and Drum Corps from one location to another (something also offered for weddings (it was a lot of fun!)). 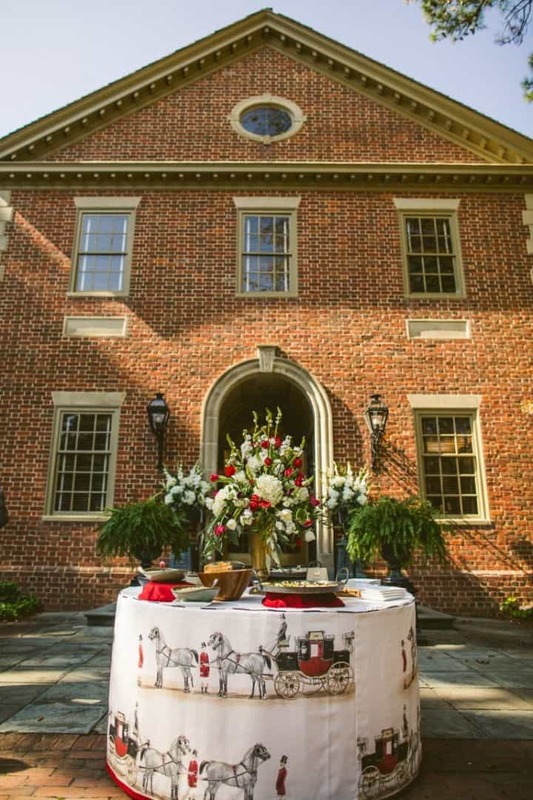 When it comes to weddings, there are many different options across Colonial Williamsburg’s venues for ceremonies and receptions. They can accommodate couples with varying budgets from very intimate, modest weddings to no-expense-spared, high-end weddings. The beautiful gardens surrounding the Governor’s Palace are astounding. 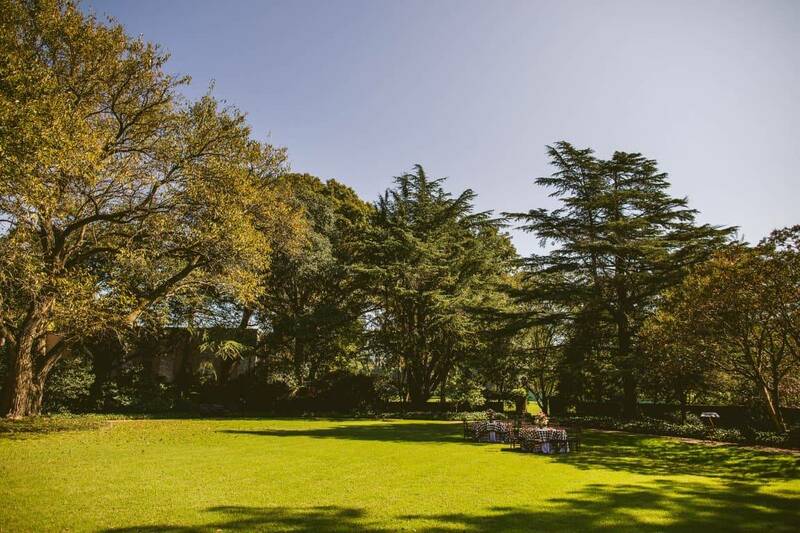 Here you will find large open expanses and small private gardens, a mixture of flowers, hedges, and ivy walkways. 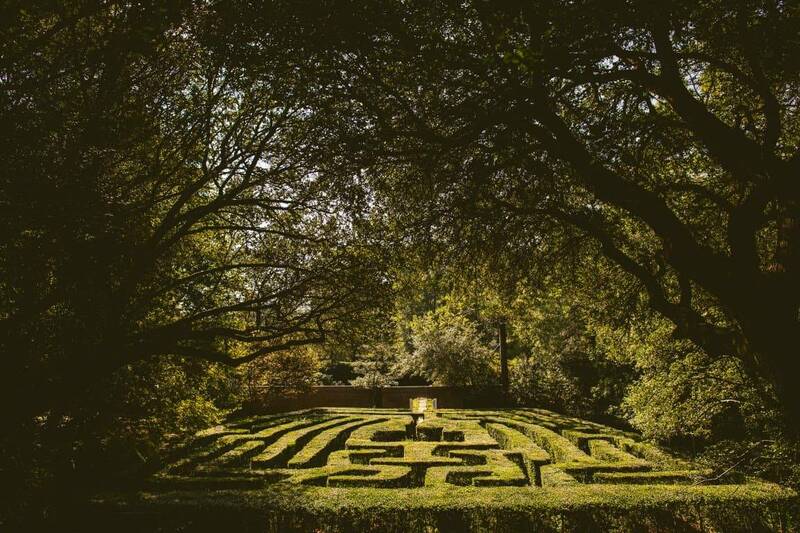 There are several beautiful areas at this location to choose from, and even a gorgeous hedge maze, perfect for a photo op at the center. 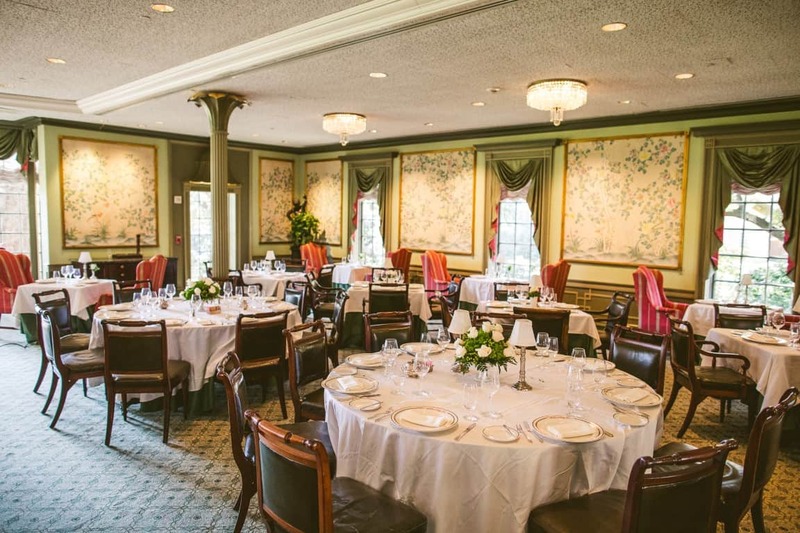 The Williamsburg Inn is one of the several hotels available for guests. 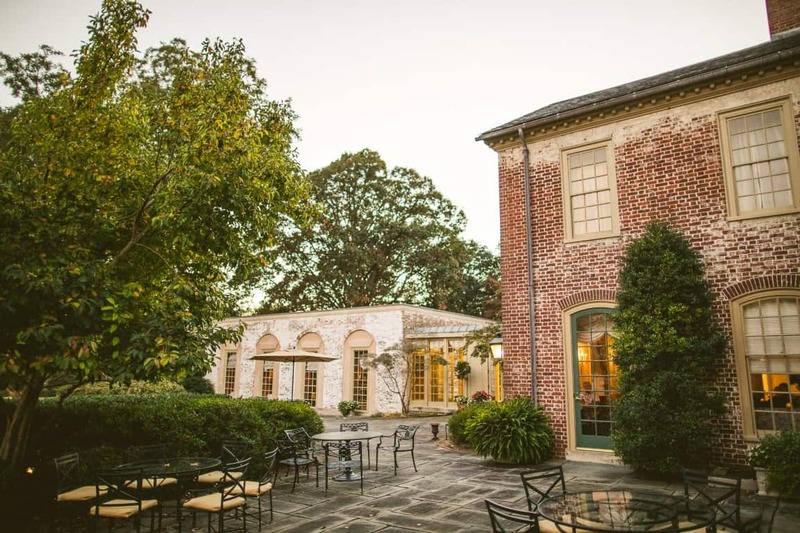 It’s a beautiful historic building with arches and columns and there are many event rooms throughout the inn. We were able to get a preview of some upcoming renovations, and there will be more amazing spots for wedding activities in the near future. 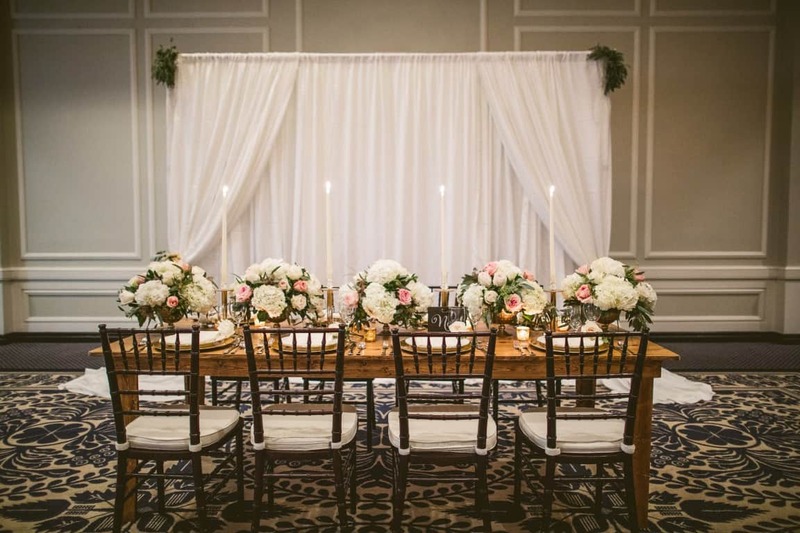 It would be very easy to accommodate either an indoor or outdoor wedding, or a combination. The big stand-out at the Inn is the back patio and garden area. 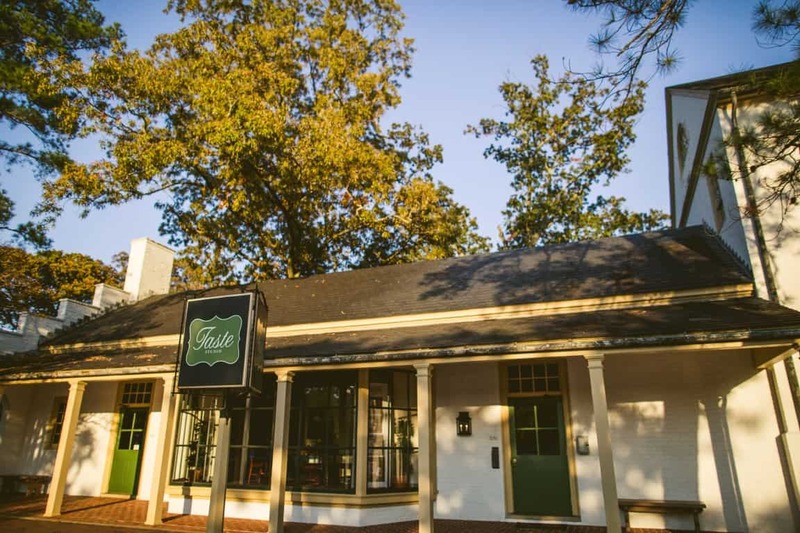 The patio is along the back side of the inn, looking out at Williamsburg’s natural views and historic architecture. The patio is already beautiful, but it’s also about to have a stunning renovation. This area has lots of potential and could be used for anything from the ceremony, reception, rehearsal dinner, or cocktail hour. 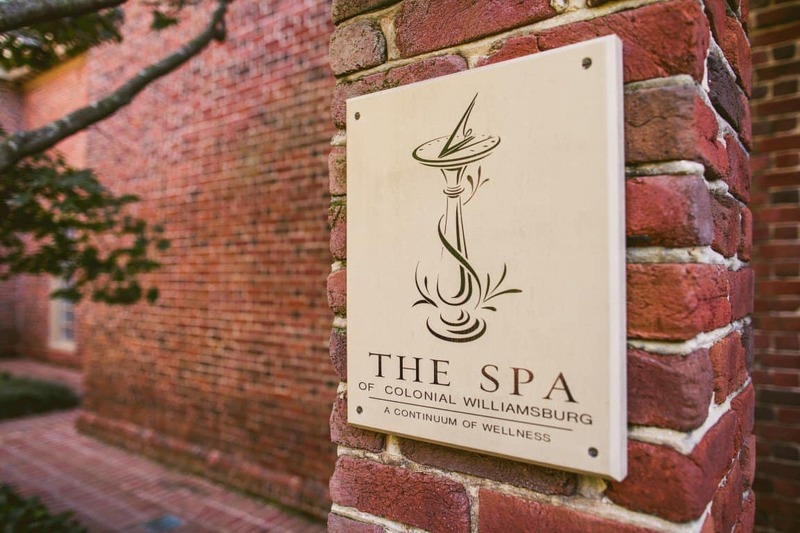 When staying at the Williamsburg Inn, a spa treatment at The Spa is a must. The Spa offers many different treatments including massages, facials, body treatments, manicures, pedicures, and salon services. The salon is convenient for brides and bridesmaids who would like hair and makeup services on the wedding day. 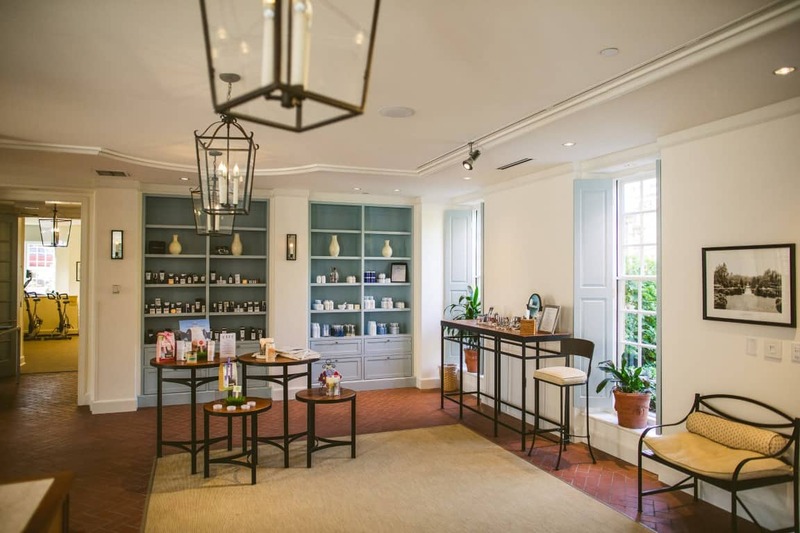 The spa specializes in century inspired body treatments, which combine historic healing practices with modern methods. I tried out the 17th Century detoxifying herbal wrap and hot stone massage. It was a unique and incredibly relaxing experience. 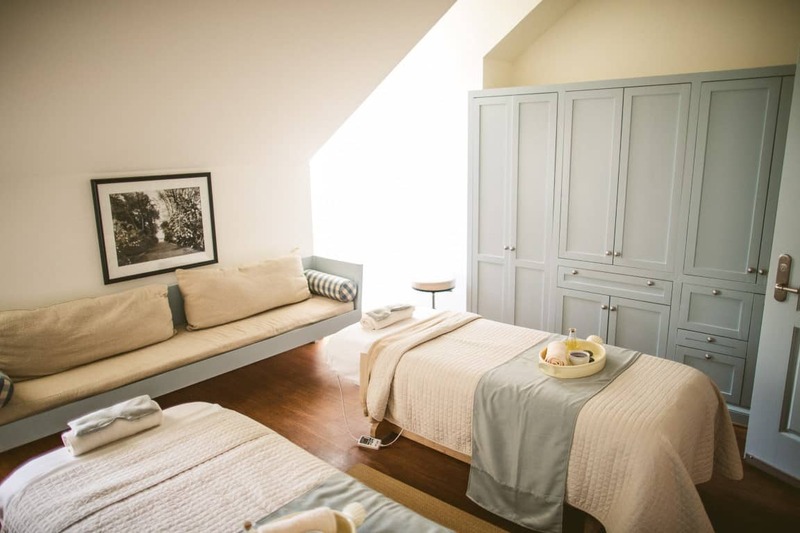 Couples can request a Century Inspired couples massage to alleviate pre-wedding stress or to relax and detox after the wedding day. 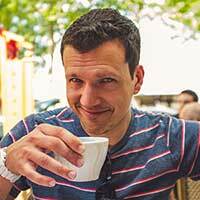 I’d also recommend exploring Taste Studio. 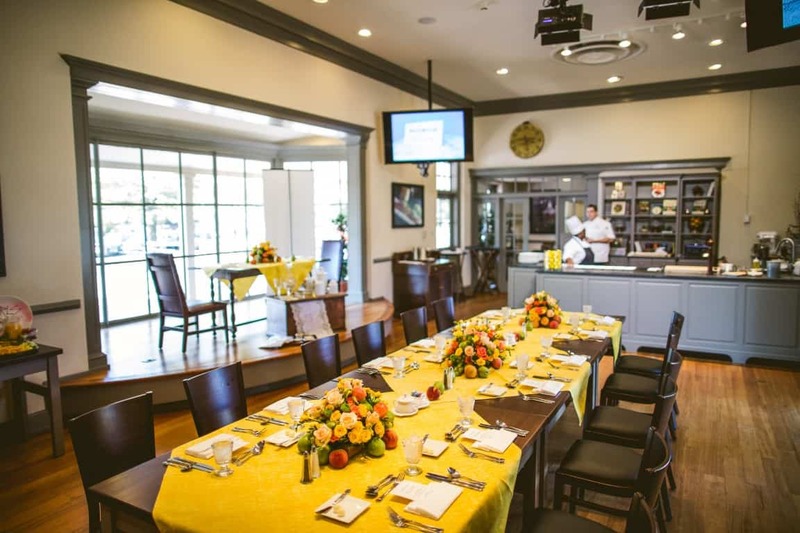 This venue would be a great place for a couples shower, family gathering, bachelor/bachelorette event, or rehearsal dinner. 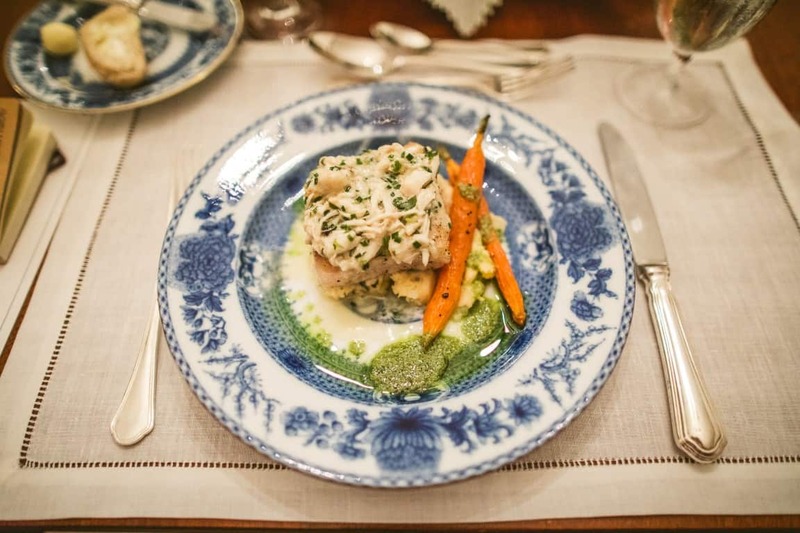 The studio offers cooking demonstrations where the chef shows the audience a step by step guide on how to prepare the meal they will be enjoying. Taste Studio also offers beer, wine, and whiskey tastings. The food options they can provide are exquisite. They locally source for their ingredients and can customize to a wide variety of tastes. 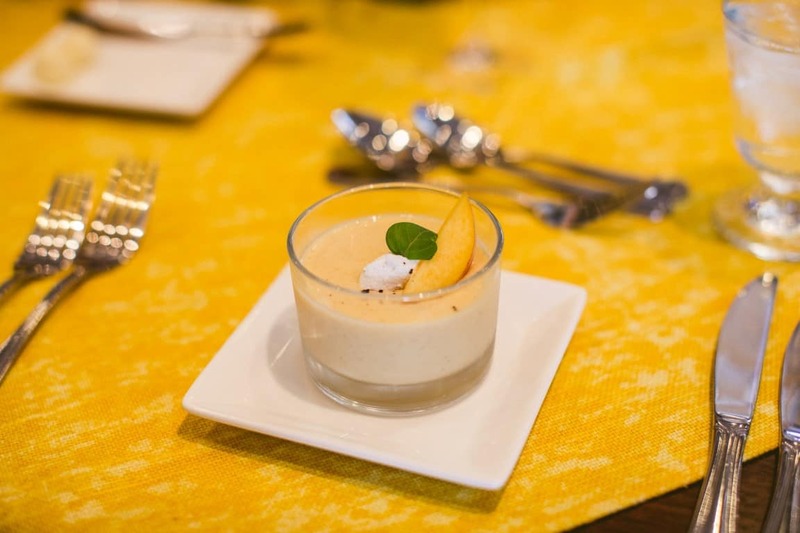 This is not unique to Taste Studio, the culinary team works across any of the properties for your wedding day. 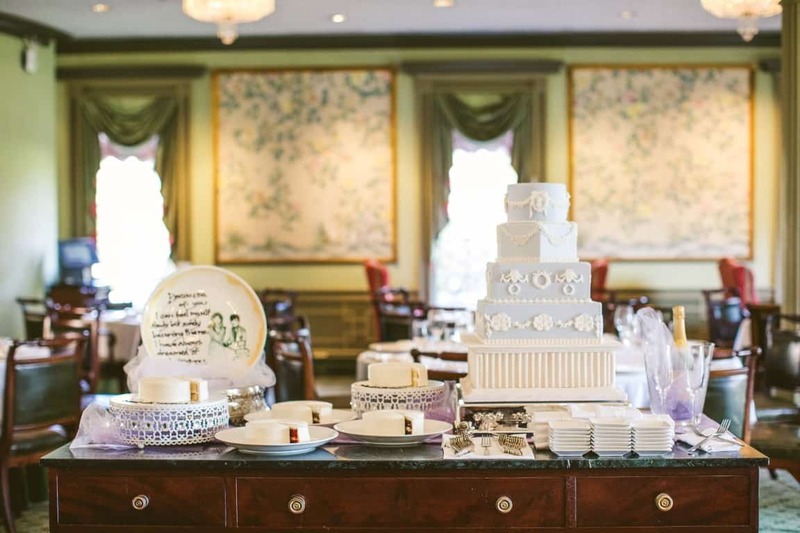 With a multitude of event spaces across all their properties, the colonial sites, the spa, the restaurants, the shopping, and the natural beauty, I think Colonial Williamsburg is poised to be a top tier wedding destination. 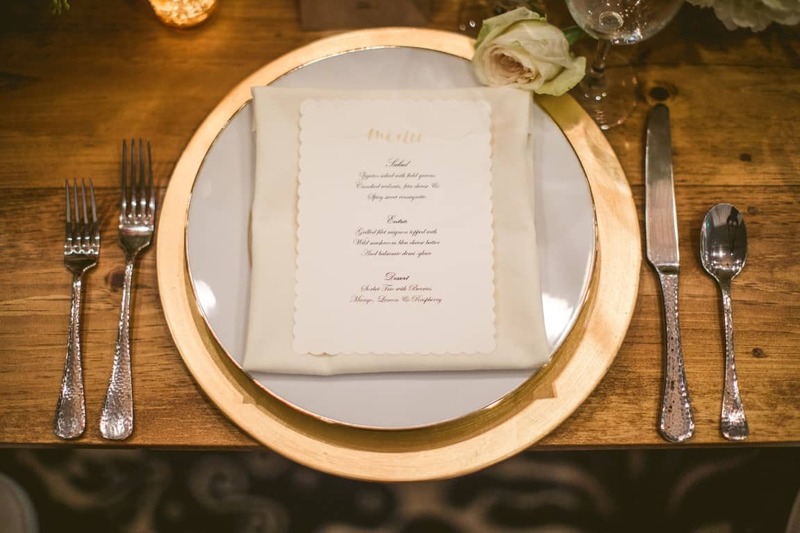 What’s unique here, is that they have simultaneously embraced their historical roots, while also moving forward to provide a much more complete and modern offering for brides and grooms.